A Career in Nursing: Is it right for me? For anyone considering a career in nursing, this book is a must-read resource providing a unique look at the nursing profession. Personal accounts from men and women at all stages and in all specialties of nursing provide practical advice and realistic, often humorous perspectives on what it's really like to be a nurse. Katz, Janet Assistant Professor, Intercollegiate College of Nursing, Washington State University, Spokane, WA. 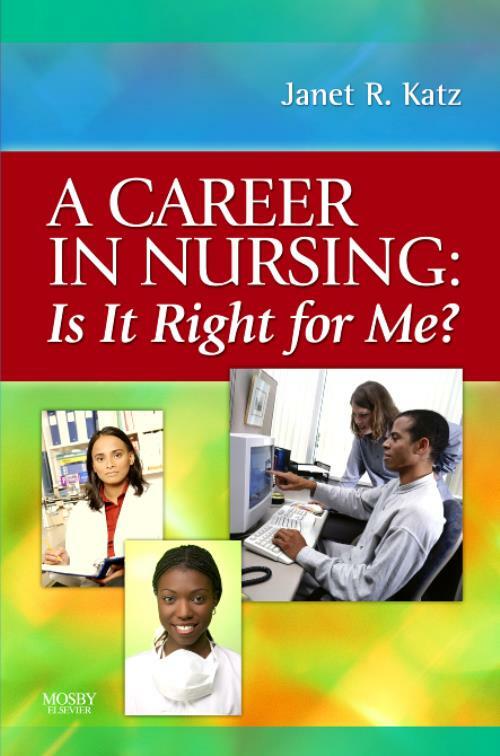 Product: A Career in Nursing: Is it right for me?